Recently, I put together a list of the top 10 foods or food ingredients that I want to sample this year. 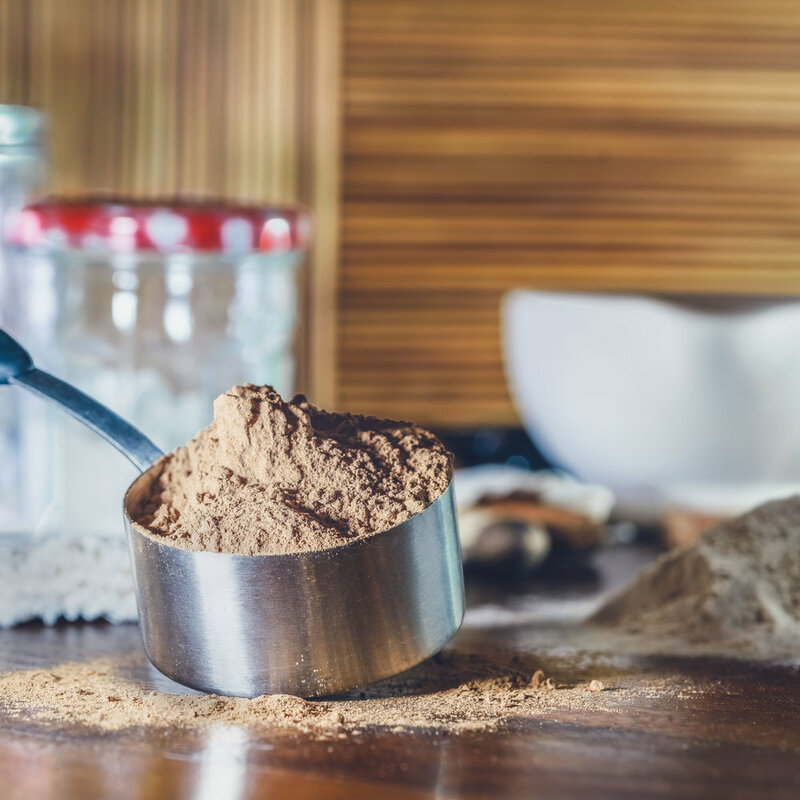 I shared this list with our Foodscape subscribers and one of the items sparked great interest: coffee flour. To be honest, I was drawn to the idea of coffee cherry flour for two fundamental reasons. First, I LOVE coffee and drink espresso faithfully every single day. Second, I LOVE baking. Turns out there’s irony on two fronts. Coffee cherry flour tastes nothing like coffee, and coffee cherry flour isn’t really flour. Wait, what? My recent chat with Carole Widmayer, SVP at The Coffee Cherry Co. set me straight on some details. What is Coffee Cherry Flour? For starters, coffee cherry flour was once simply coffee flour. In an effort to clear up ambiguities and help people understand that it is different from ground coffee, the name coffee cherry flour has been adopted. Coffee cherry flour is an upcycled agricultural product. It’s a byproduct of traditional coffee production that would otherwise go to waste. The sustainability story hooked me in immediately. Next, I learned that coffee cherry flour is the fruit that surrounds the coffee bean, or more precisely, the fruit that surrounds the coffee seed. Think of the coffee plant more like a cherry with a pit and surrounding flesh. We’re talking about that surrounding flesh in this case, which becomes coffee cherry flour. This flesh is quite nutritious, with more fiber gram per gram than whole grain wheat flour. Given what coffee cherry flour is, botanically speaking, it made sense when I learned how it will be listed on-pack in an ingredient listing. If a CPG product (that’s consumer packaged good in case you’re wondering) uses ‘coffee flour’ in their ingredient mix, then it will be listed as ‘dried coffee cherry pulp’ or ‘coffee cherry flour’ on the ingredient label. Good to know. We’ve ticked boxes on sustainability, nutrition, and labeling. All good. Let’s move on to what was really on my mind when I chatted with Carole - muffins! It’s called coffee cherry flour, so if you’re a home baker like me, then perhaps your mind goes straight to muffins. Because coffee cherry flour isn’t really a flour though, it behaves differently...more like buckwheat. I learned from Carole that you should start by substituting about 10-12% of a given recipe’s flour with coffee cherry flour. Also, you might need to up the wet ingredient percentage as coffee cherry flour’s more fibrous makeup changes the liquid to dry ingredients balance somewhat. Home baking aside, what’s extra interesting is the role coffee cherry flour can play in a whole host of foods and beverages. Yes, beverages. I’ll get back to that in a moment. 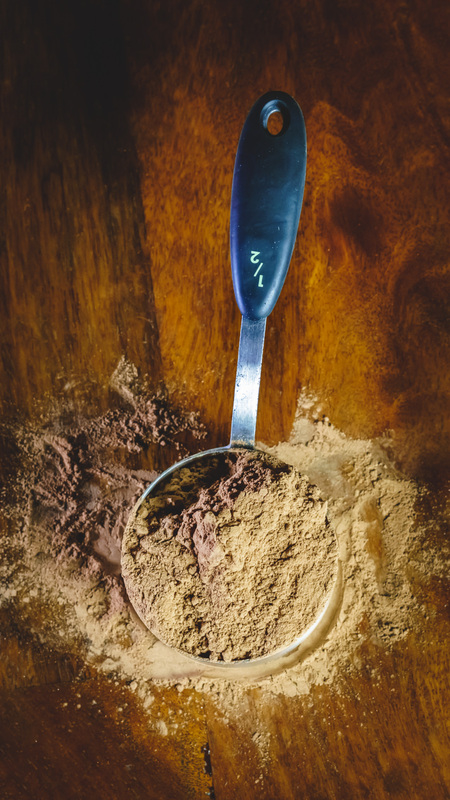 First, on the food front, coffee cherry flour may be able to function as a replacement for more than one ingredient - like subbing in for a mix of flour and cocoa powder. For darker colored products, coffee cherry flour may be able to replace artificial caramel coloring. Talk about a win. Down with artificial colors and up with upcycling. In some gluten-free products, coffee cherry flour can replace gums or stabilizers. Such substitutions are all, of course, application specific, but the point here is we’ve got some real versatility coming from an ingredient that would have otherwise been tossed out. Now, back to beverages...the irony did not pass me by that I had always thought of ‘coffee flour’ as coffee-y. In reality, the upcycled fruit portion is more akin to a high-end tea. Keep in mind tea is nearly 5,000 years old and the most widely consumed beverage in the world next to water. All said, in the not so distant retail future, coffee cherry flour may be just as likely to land in my home-baked muffin as my RTD tea. There’s also some beverage buzz about cascara, which is the same dried fruit of the coffee cherry, but with a much coarser grind. When brewed, cascara resembles an herbal tea or tisane. Cascara has gained a bit of traction among consumers thanks to the Cascara Latte at Starbucks. I’d rather have a full on coffee cherry drink with no extracts, gums or preservatives, but I applaud the latte effort. It helps build mainstream ingredient awareness, which is a good thing. Right now coffee cherry flour is lesser known. It certainly is not yet commoditized (read: cheap). For that reason, pricing is best described as reasonable. The good news is Millennials are willing to pay more for products with ingredients that are sustainable, environmentally friendly, organic or natural, or socially responsible products. According to Nielsen data, about 75% of Millennials are altering their buying habits with the environment in mind, compared to just 34% of Baby Boomers. The other piece of good news is The Coffee Cherry Co is currently active in countries like Guatemala, Nicaragua, El Salvador, and Vietnam, and expanding rapidly to include supply partners in Africa and around the world. It’s these global partnerships that allow for a win-win-win across growers, processors, and consumers with supply chain transparency. They also provide a little thing called terroir. Terroir is a French term usually reserved for wine. It’s a word used to describe the set of environmental factors that affect a crop, like the region’s climate, soil and farming practices. Case in point, coffee cherry flour will taste different depending on the country of origin, or even farm of origin because of the inherent variability around all those growing factors and conditions. This terroir variability stands in stark contrast to today’s standard ingredients in CPG products that are, for the most part, expertly designed to remove all variability. The historical and prevailing thinking is that you can't have a mass-produced cereal bar, breakfast muffin or tea that tastes slightly different each time you buy it. Fair enough. There’s good reason to aim for consistency. Having said that, what sets ingredients like coffee cherry flour apart is the upcycled nature that naturally highlights the inherent terroir. In the world of traditional coffee, single-origin often comes at a higher price point, and many a coffee connoisseur revels in the regional or even farm-level differences. Could it be that building sustainable ingredient supply chains will ultimately change this mindset of mandatory uniformity across mass produced products? I can’t say for sure because that involves a very dramatic paradigm shift, but Carole confirms that The Coffee Cherry Co. is committed to providing both blends (for uniformity) and varietals for those of us who love a dash of terroir, like me. Disclaimer: This blog post is not a paid advertisement or endorsement. It is just the result of my deeper look into the ingredient. Neither Foodscape nor I received any compensation or product samples.